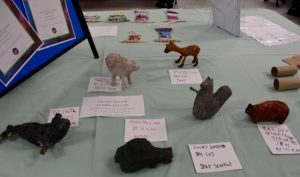 One of SOFAAR’s largest events of the year (SNIPS & SCRAPS) took place on April 13th at the A.R. Firehall. 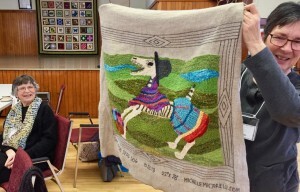 Over 150 people attended to see 18 exhibitors featuring creative ways to re-use scraps of fibre &/or explain the environmental impacts of the textile industry. The success of this event was clearly evident by the high level of interest & enthusiasm generated throughout the day. 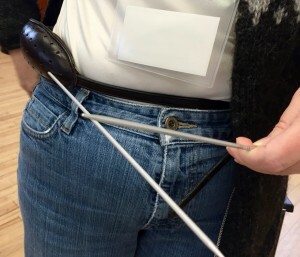 Although our exhibitors varied in age from grade fours to octogenarians, they all had displays that reflected their dedication to keeping fibre out of our landfills. 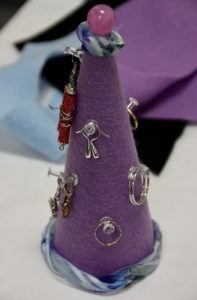 A special thank-you to CARP as well as the students who entered the Student Challenge to create pieces from fibre that would otherwise have been destined for the landfill. Congratulations to Digby and Champlain elementary schools who tied for first place in this challenge! 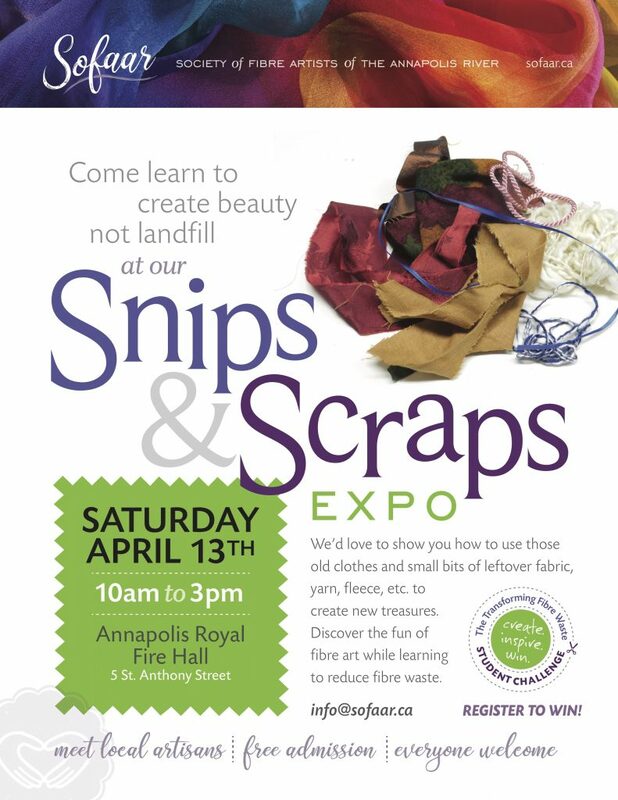 Sofaar invites you all to attend our Snips and Scraps expo on April 13th from 10 am to 3 pm at the Annapolis Royal Fire Hall. Snips and Scraps is an event free to the pubic and open to everyone. 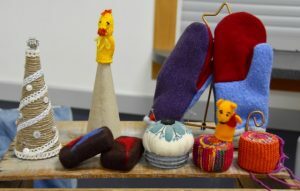 It will showcase the uses for fibre waste: all those pieces of unwanted clothing, bits of fabric, yarn, fleece etc that fills our landfill sites. 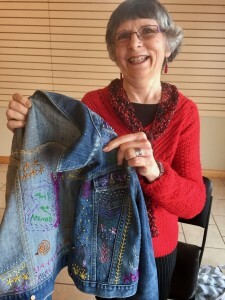 Come on out and learn how to be creative with these fibre snips and scraps. Please help us spread the word about this event by sharing the attached poster. 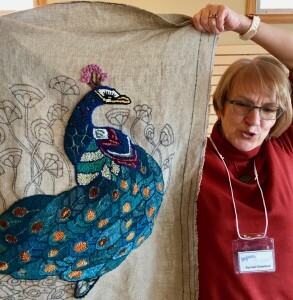 An update on our Fabulous Fall Fibre Retreat 2019. There is now only ONE room left at the beautiful Hillsdale House Inn for the weekend of our Retreat (September 27th to 29). 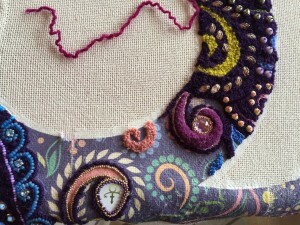 And only a couple of day stitching spots left. 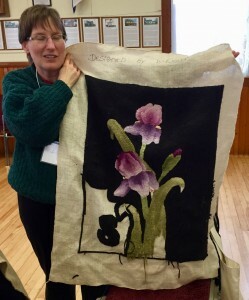 It’s going to be a wonderful, relaxing weekend of like-minded fibre enthusiasts getting together to work on their projects and enjoy the sights of historic Annapolis Royal with its Saturday Farmers and Traders market, interesting shops and beautiful waterfront. 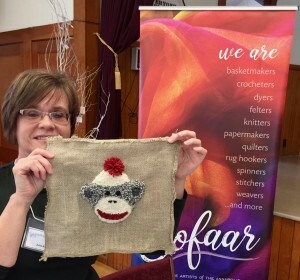 SOFAAR held its Annual General Meeting and Stash Day this past Saturday, March 9th, 2019. The sun shone for us and some 35 members gathered for a fibre afternoon. The business meeting was followed by much browsing and selecting of ‘new-to-you’ stash, an exciting Show and Tell and lively conversation. 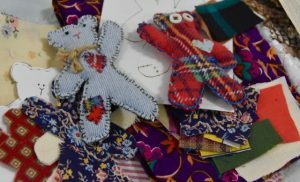 We look forward to a vibrant year of fibre events – casual gatherings, exhibitions and learning events. We hope to serve you well. If you have any ideas for future, please don’t hesitate to let us know. PS> We’re working on the next issue of Snippets and we need your help. Please send us your news. 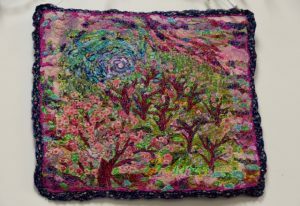 This could be a photo of a recently finished project (with a few words of description); news of upcoming guild meetings or workshops; exhibitions of interest to SOFAAR members; books, websites or blogs you find helpful or inspirational; etc. In other words, anything you think would be of interest to fellow members. Please send directly to our totally amazing Snippets editor at gracebutland@eastlink.ca. 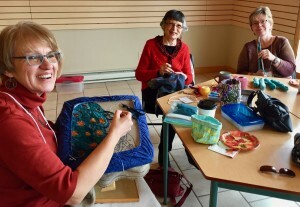 Only THREE rooms left at Hillsdale House Inn for our Fabulous Fall Fibre Retreat coming up in September. We are going to have a wonderful weekend of quiet fibre work in the beautiful setting of Annapolis Royal. We will have room for day-stitchers. This means you can still be a part of the Retreat even if all the rooms are booked at the Hillsdale House Inn. We have a maximum of 30 participants. For information on day stitching spots, please contact info@sofaar.ca. 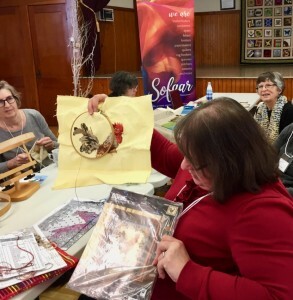 Nineteen ladies braved the snowy roads for a fun-filled, or should we say fibre-filled afternoon of sharing and working on our projects on January 12th. SOFAAR welcomed three new members to the group today as well. A warm welcome to Ann, Lynn and Linda! Kudos to Irene and Audrey for driving all the way to Paradise from Weymouth to share our afternoon. It was wonderful to spend time together seeing new beginnings and on-going work. 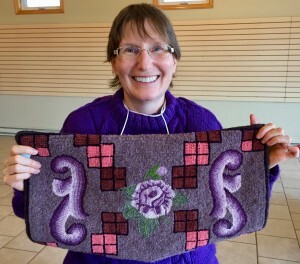 Our next gathering will be in Digby on Saturday, February 9th. 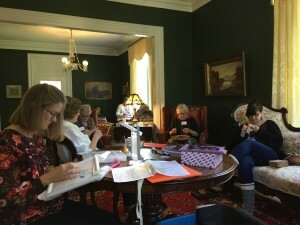 Cheryl demonstrates knitting from the hip to help rest the wrist! 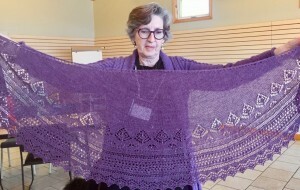 New member Lynn shows off her beautiful hooking. 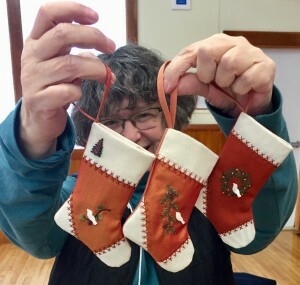 Céleste made more Christmas stockings. 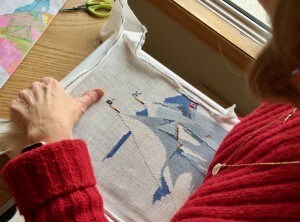 Tammy has started a new cross-stitch of a rooster. Julia and her hooked sock monkey! And Betsy’s Day of the Dead Dog hooking is quite a hoot!